I've now been married for almost a month, so I think it's high time I shared my wedding photos. 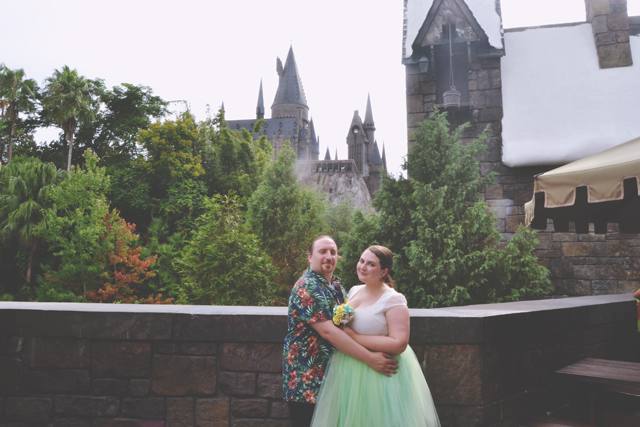 Those of you who have been following a while will know that we had two weddings: The actual wedding ceremony at Wizarding World of Harry Potter in Florida with two close friends, and a wedding reception back home in England a couple of weeks later. 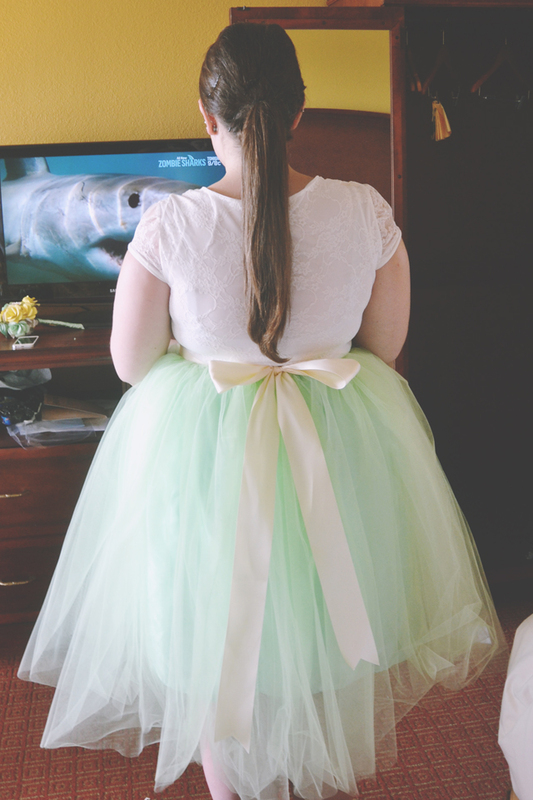 Our wedding day started with a trip to Walgreens, followed by lounging on the bed watching Shark Week. Not quite your usual wedding morning! That up there is Matt, Rich's best man and Bob the Shark. 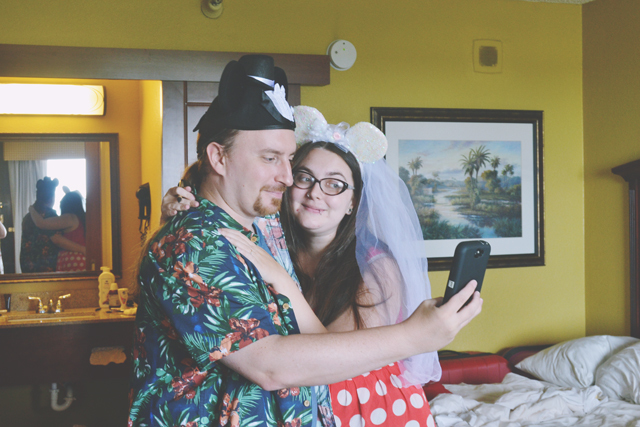 Since it was Florida in August, we'd checked the weather forecast and saw it was going to rain around 5, so decided to hold the ceremony at 4. At 2, Rich and Matt headed off so us girls could get ready. As I was doing so, Laura was in charge of the camera and snapping candid shots. Yep, this is my eyeliner face! For my make up, I chose to stick with my usual routine (Benefit Hello Flawless foundation, MAC Studio Sculpt concealer, Topshop cream blush in Prime Time and my new CoverGirl eyeliner pen) with MAC's Pretty Please lipstick. Once my face was on, Laura and I worked as a team to create a hairstyle that would stay smooth and sleek even with the Floridian humidity. 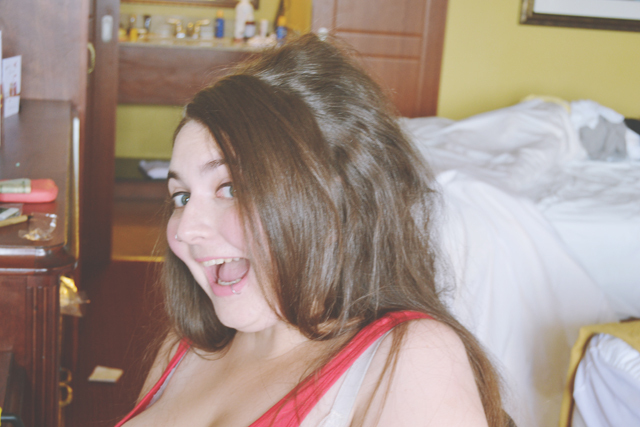 Halfway through, I looked like a happy porcupine. 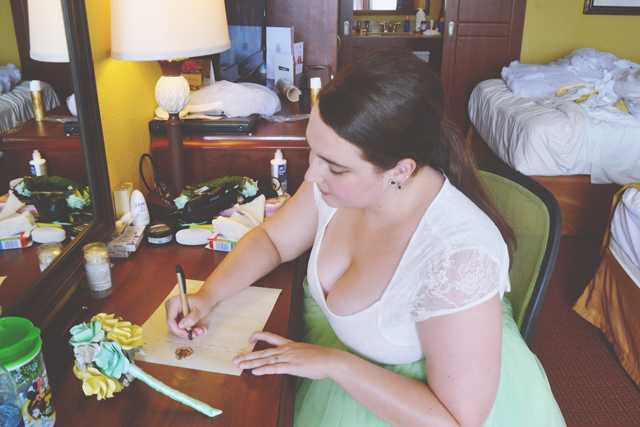 Before we left, I wrote my vows on special Hogwarts paper. I'm nothing if not last minute! It was so difficult to write them but once I got started, I ended up writing a whole sheet. Unsurprisingly, we were running late, so we decided to get a taxi. I had originally wanted to get the trolley, because I loved the idea of travelling to my wedding on public transport, but we were conscious of the forecast rain. Finally we got there, and I was shaking in my Converse! We hadn't actually asked for permission to marry there, so I was terrified that we would be thrown out mid-ceremony, and I was suddenly very conscious of everybody watching me. 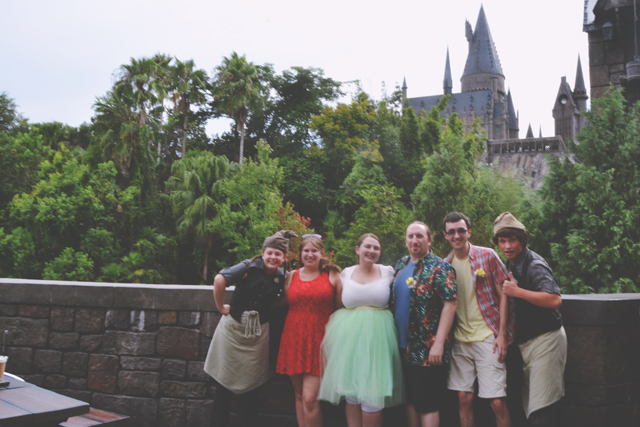 We'd decided to hold the ceremony in the garden of the Three Broomsticks as it was quiet, away from staff and has a wonderful view of Hogwarts. Unfortunately, the day we married was the day that the garden was filled with people. Laura had to coax me around the corner to walk up to Rich, to the sounds of Potter Waltz. I was trembling during the ceremony. It seemed as though everybody had gone quiet and all eyes were on us. I couldn't look up as I was so anxious- Instead I stared at the buttons on Rich's shirt. After we'd said our vows, neither of which I remember, I said to Laura "There's no staff here, is there?" to which she replied "Yes there is... but it's ok, she's smiling". That just made me even more nervous. Any moment now, she was going to tap us on the shoulder and ask us to leave. 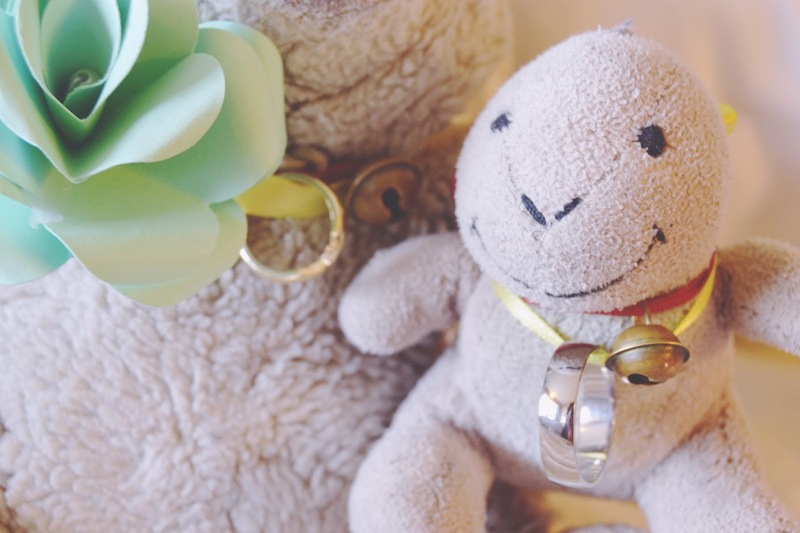 We'd decided to make Fluffy and George our ringbearers, using yellow ribbons because they would both be in Hufflepuff if they were alive. And human. And wizards. (What do you mean, you don't sort your cuddly toys?) I was so worried that the rings wouldn't go on due to our fingers swelling in the heat but luckily they slid right on. Rich was amazed by how much I was shaking. After what felt like forever, Laura pronounced us husband and wife, and declared "You may now kiss the hippo-slash-manatee creature" (That's me and don't worry, it's an injoke. She's not just really rude!) Everybody in the garden applauded as we kissed, which was very sweet. Matt filmed the ceremony for us and I was shocked afterwards to discover that it was only 3 minutes long. As we were signing the register, the door to the Three Broomsticks opened and five members of staff came out. My heart sank as I realised we were going to be chucked out of the park. Then, to my astonishment, they revealed a tray with four frozen Butterbeers! I could not have been more grateful for their hospitality. All the staff were so friendly and seemed really pleased to be a part of our day. One of the women even took some photos for us, and a couple of staff couldn't resist getting involved! My wedding dress wasn't exactly traditional, but it was certainly very me! I needed something practical, since I knew we would be going on rides, and this is pretty much just an extension of my everyday style. You can see from my OOTDs that I tend to wear fitted tops with skater skirts. I'm not an elegant, strapless lace bridal gown kind of girl! 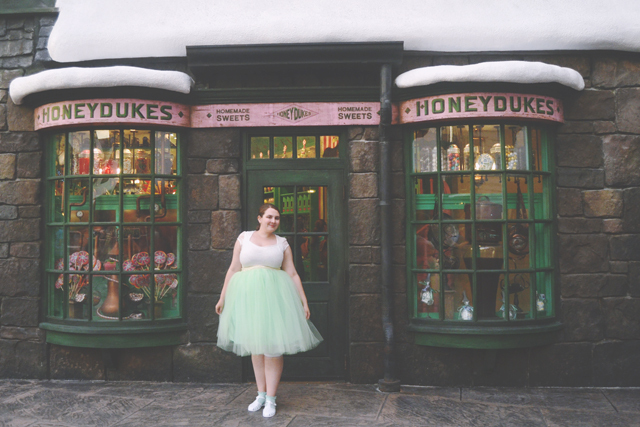 I chose a mint green tutu, not only because it's one of my favourite colours, but also as a subtle hint towards the Harry Potter theme: I would be in Slytherin. After a last minute nightmare with the original person I intended to buy my tutu through, Dark Pony Designs came to my rescue. Robyn rushed through my order and it arrived the day before we flew out to Florida. Perfect timing! My lace top is actually a Boohoo skater dress, as I figured I could whip off the tutu if it was too much hassle on the rides. Since I can't walk in high heels at all, I wasn't about to start now. 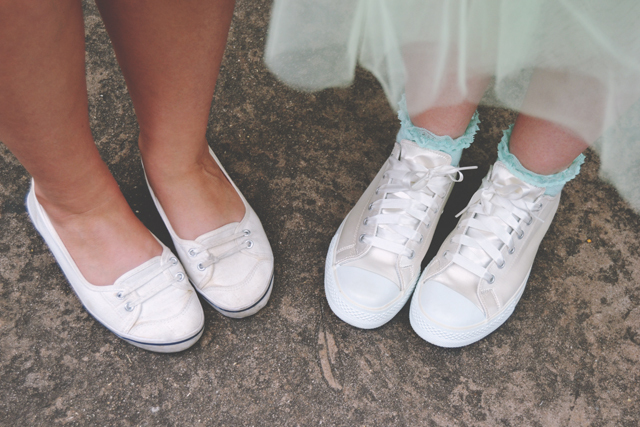 These Converse-style shoes from Rainbow Club were actually bought brand new on eBay about 4 years ago, just waiting for my eventual wedding day. Unfortunately, I didn't get a clear photo of the back of my dress on either wedding day, but Laura did take this quick snap when we were about to leave the hotel. That girl is a whizz with bows! 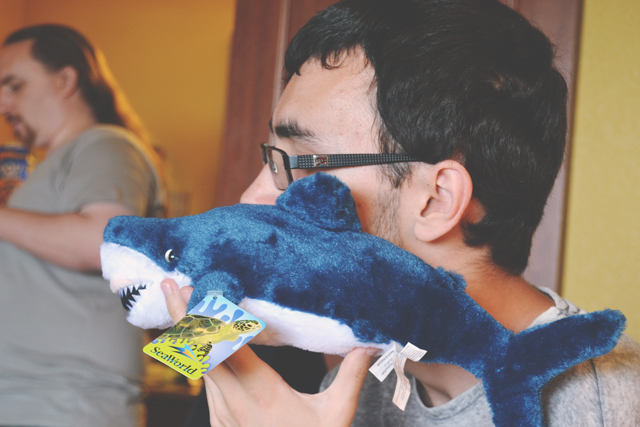 And, yep, a shark is trying to eat me. 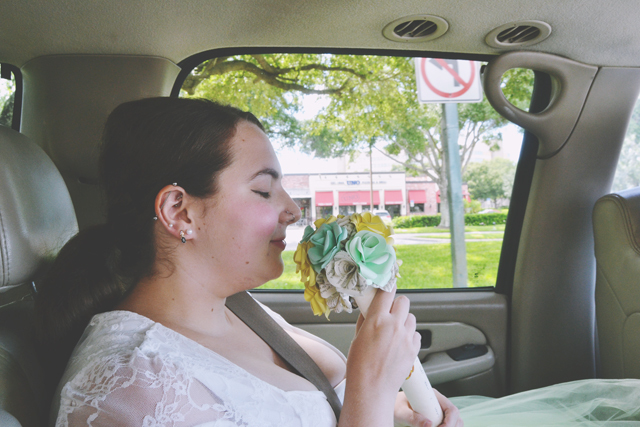 My bouquet was a joint effort between Rich and I. Made from coloured card and pages of Harry Potter, I chose yellow and green to represent our two houses (although Rich later decided he'd rather be a Ravenclaw!). At the last minute, I thought of putting little pearls in the centre of the flowers, which was a touch I'm really proud of. 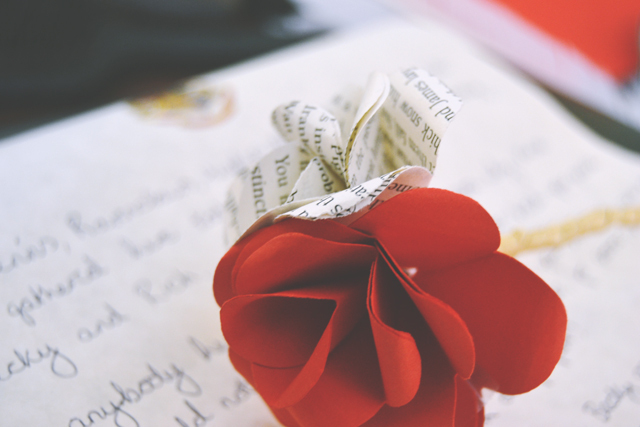 I also made yellow Hufflepuff buttonholes for the boys and a red and gold corsage for Laura, since she's Gryffindor. 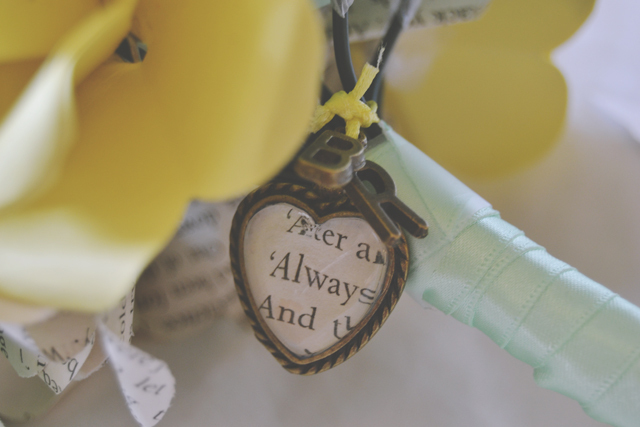 In the first photo of this post, you can see that I took Snape's "always" quote and put it inside a heart-shaped locket, complete with B and R charms. 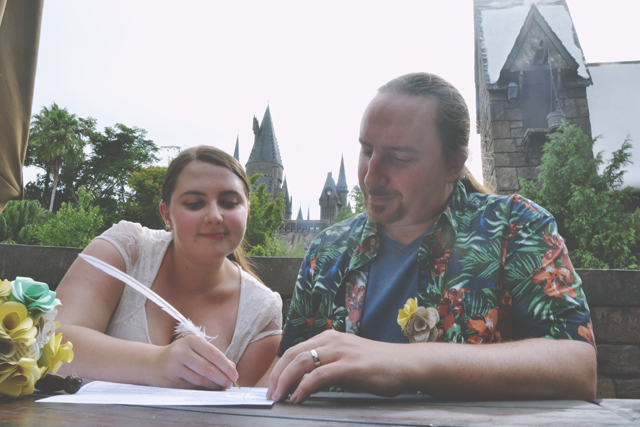 When the register had been signed, photos had been taken and Butterbeer drunk, we headed to Harry Potter and the Forbidden Journey for our official wedding photograph. Although it was unconventional, and a lot of people doubt the legality (I promise it was legal! ), it was absolutely us: Quirky, informal and a lot of fun. I am so proud of ourselves for pulling it off! This was such a lovely read, congratulations Becky & Rich! Your wedding has got to be one of the best EVER! Right now I'm just sitting here thinking "damn, I wish I'd thought of that"! Im not ashamed to say that I shed a few tears reading this post! Your wedding sounds absolutely amazing and perfect for you! Especially with all the small touches like the house colours and Snapes quote. Im so so pleased for you! Thank you so much for both your comments! Fully sobbing reading this Becky. It sounds wonderful and so perfect for you and your HUSBAND (so happy to write that!). You looked beautiful and it sounds like an absolute dream. I'm not surprised that the staff were so friendly, it's the American way after all ;) Just perfect and I'm so glad you had a wonderful holiday as well as a wedding. Oh, you sweetie! It's so weird calling him my husband haha! Thank you so much! P.S. I realise I may have got way too overexcited writing this comment, sorry! Haha don't apologise for getting overexcited! Thank you so much for such a sweet comment. I loved the unbreakable vow pun! Do you know what?! I want to shout this post from the rooftops, which makes zero bloody sense, but I'm delirious after reading it (don't judge me...ok?!). I loved this. Bloody absolutely 100% from the bottom of my big full heart loved it. You looked beautiful. The day sounded bloody perfect - I'm so glad you managed to pull the ceremony off. 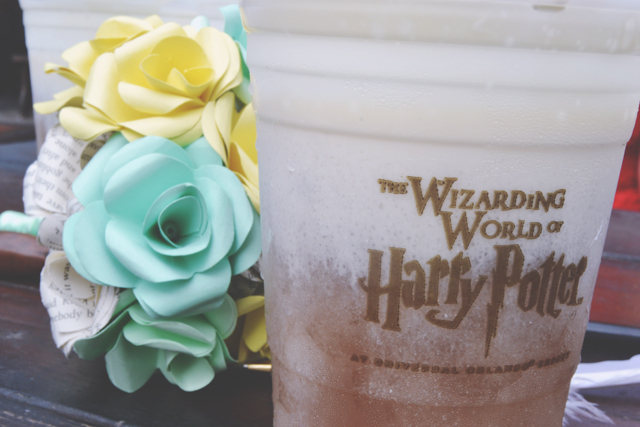 I adore all the touches - bouquet, buttonholes, butterbeer (I went for alliteration).....you've got me a little weepy eyed over here. Although I won't lie, I'm a little disappointed I can't see colourful socks. BAD BECKY. Get up on the rooftops now, Tori! You are such a babe- What a lovely comment. Sorry about the socks though! Becky my love, thank you SO much for sharing your special day with us. I can't stop sobbing over the pure perfection of it all, your wedding truly personified you and Rich's quirkiness, beauty and absolute adoration for one and other! I've never seen a more beautiful wedding ensemble in my entire life! 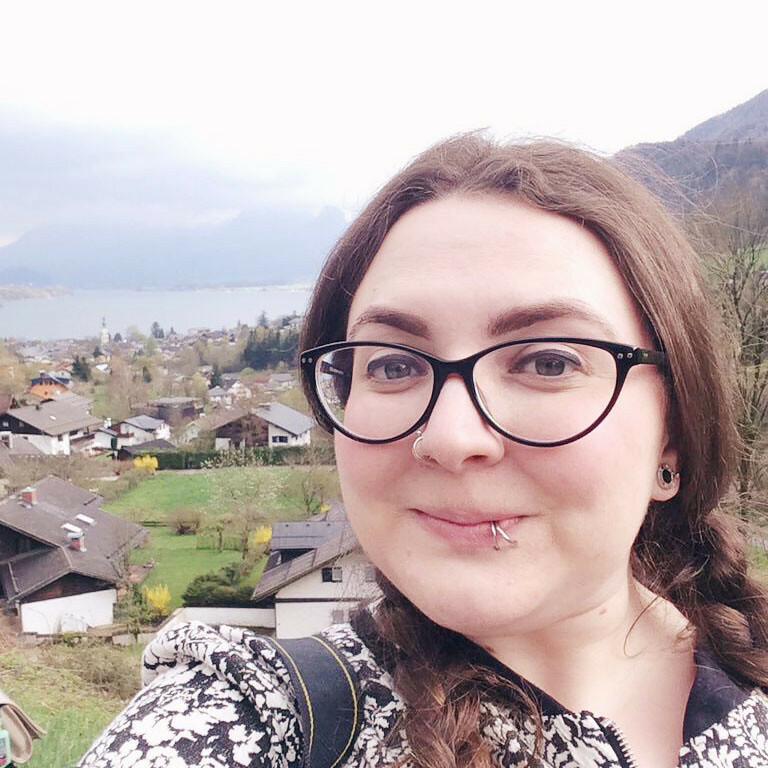 Honestly Becky, you're my hero, my inspiration and my friend and I am so, SO, soooo happy for you sweetpea <3 Sending lots of love you and Rich's way as you embark about your beautiful new journey together! You only blooming made me cry with this comment! You cutie! Thank you so much! It was very magical haha! I absolutely loved everything about this wedding! You looked so lovely & it was just so personalized for you & your relationship. I'm also jealous that you've been there and I have not yet! Thank you so much! Sorry for making you jealous. Hopefully you'll get to visit one day! Did you guys get sorted via pottermore? Thank you! We did but we already knew our houses for years before that haha! Thank you so much, Jemma. What a lovely comment! This wedding was perfect and I know I don't know you more than over the screen, but I couldn't imagine anything more fitting for you to. Damn do you two so look so freaking cute together! I wish you all the happiness and more. Thank you for making me smile on the crappy end to my day. (on a side note, it's eery how much one of the staff members looks like my ex bf - I had to skip the photo!). I love everything about this - informality is my style too but you still managed to stay classy (as Ron Burgandy would say). All the way through the post I was dreading to hear what the staff would do but that is ace that they were great with it. Congratulations! Sounds like it was a perfect day for you both :) loving your tulle skirt - such a good colour! Wow, this is such a cool idea, just proves that weddings don't have to be ultra flamboyant to be remembered in style. Congratulations to you and Rich, I hope you have many years of happiness ahead of you. Congratulations to you both! It looks like you had a nervous day but absolutely fantastic that the staff were on board and didn't stop you. A one of a kind wedding, I'm sure! The staff were so fantastic! Aah congratulations! 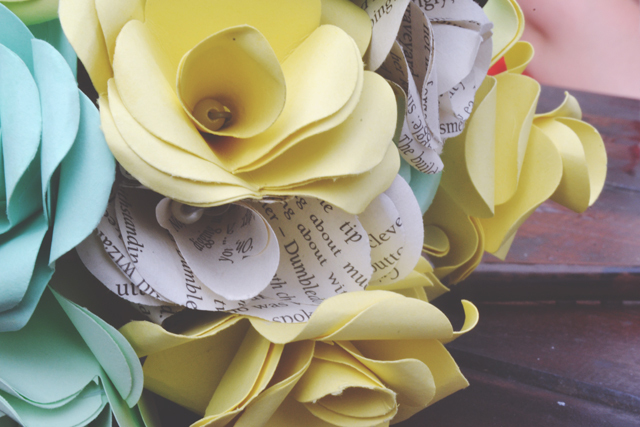 Your wedding looks amazing, so quirky and different! Love all of the personal touches, especially the bouquet and locket! 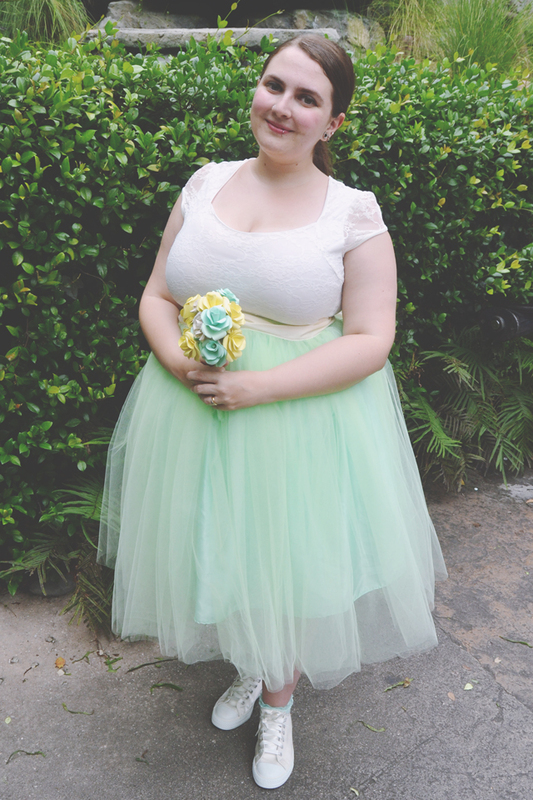 Your tutu looks amazing, so lovely of Robyn to rush through your order. 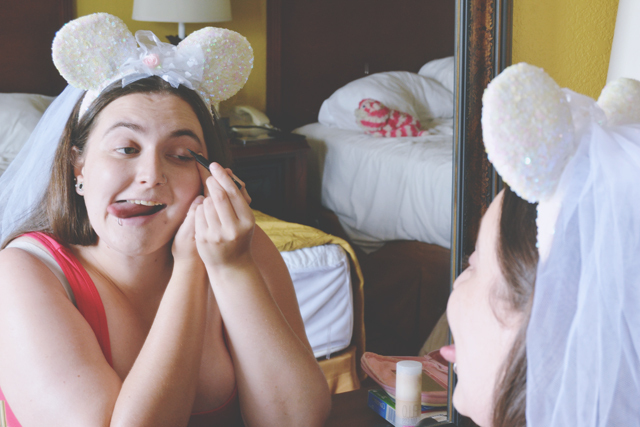 I absolutely loved reading about your non-traditional wedding! 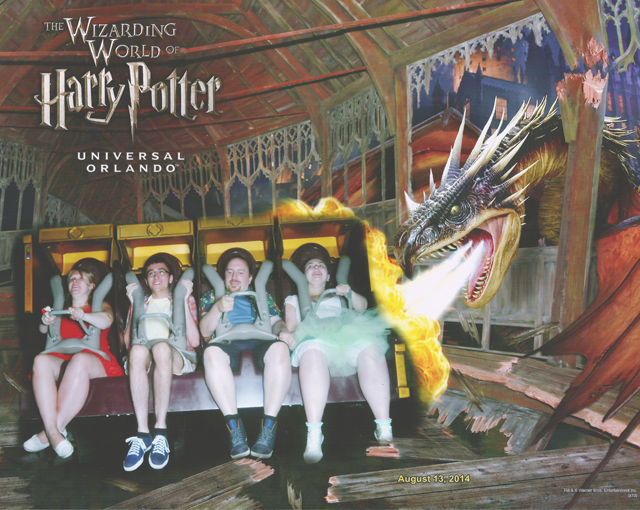 How fun to have it at the Wizarding World of Harry Potter. You looked gorgeous and it looks like you all had a ton of fun. Congratulations on your marriage! Congratulations on your wedding! I'm glad that you did your wedding your way. Thank you! We're both very glad too! What a fun way to celebrate! It's far better, in my opinion, to do something which suits you as a couple rather that what's traditional. The only thing a wedding 'needs' to be is recognised legally so why not have something so wonderful? The most magnificently original wedding I've ever seen! Giant sized congratulations to you both. I absolutely love your wedding story - so special, unique and personal to you - everything a wedding should be. You've made me want to be much more unique/spontaneous when I get married! 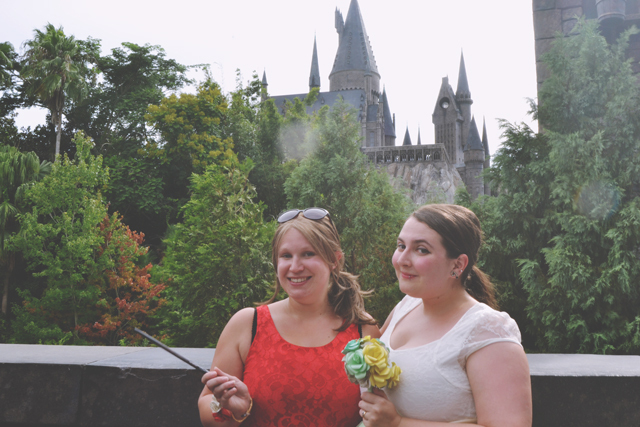 Also, Wizarding World of Harry Potter is the best venue ever, and you looked beautiful! Aaaaah I love you guys! This is the best wedding post I've ever seen! I'm so very jealous of the whole thing, I hope I find someone to marry me in my dream place (download festival) or I'll cry haha. Congratulations to the pair of you! It was such a unique wedding, so perfect for you! What a lovely comment! Getting married at Download would be awesome! Many congratulations! What beautiful photos! You looked lovely. It's great that the staff were so supportive. I would also be sorted into Slytherin so I definitely approve of your tutu! CONGRATULATIONS! Wow, what a fantastic post.. I'm so happuy for you both! And it seems like it was TOTALLY your thing.. Good stuff. I'm so jealous of this whole thing... Looks like SO MUCH FUN! Harry Potter 4ever! All I'm getting from this post is "It sucked because Leona wasn't there" and I think we can all agree that this is true. One day we will go to Florida and it will be magical! Oh it sounds amazing! I really love the colour of your tutu - the whole outfit was gorgeous! 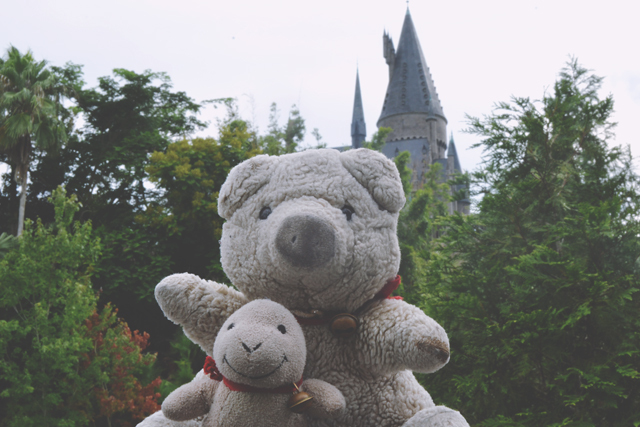 I listened to the Potter Waltz whilst reading this post, I almost feel like I was there! Becky! My husband is currently rolling his eyes at me because I kept shouting out parts of this post at him. I love how brazen you are. I was just saying "she got married at the Wizarding World of Harry Potter! They didn't even ask permission! This girl might be my spirit animal!" He then reminded me we got married on a beach in the Dominican and thus I shouldn't be uber jealous, but *whisper it* I totally am!! Wow, this is bloody amazing! I can't believe I had missed this post. I loved my wedding and have so many happy memories but honestly, it wasn't me. If I could do it again I would have done something so much more intimate and would not have bent to the demands of parents and family members. My anxiety levels were constantly through the roof and all though we had our personal touches (I had Deadpool peeking out from under my cake and my vows where from Spiderman) I would have much preferred something like this. You look beautiful, what a truly magical day you must have had!